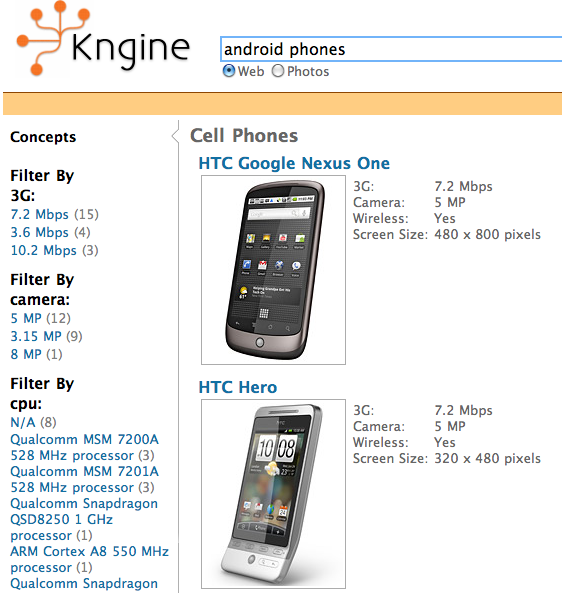 Kngine: The Smartest Search Engine Ever? Kngine aspires to be the next leader of the Semantic Web or commonly known as Web 3.0. The Washington-based revolutionary Semantic search engine functions similarly to Wolfram Alpha, but much better (based on my personal opinion). Unlike traditional search engines such as Google, Yahoo and Bing which simply return documents that might contain the answers, Kngine is capable of providing search results that contain a higher degree of relevance to the user’s search query. This includes the ability to display Semantic information about keywords, answer the user’s questions, or even discover the relationships between the keywords and link the different kind of data together. 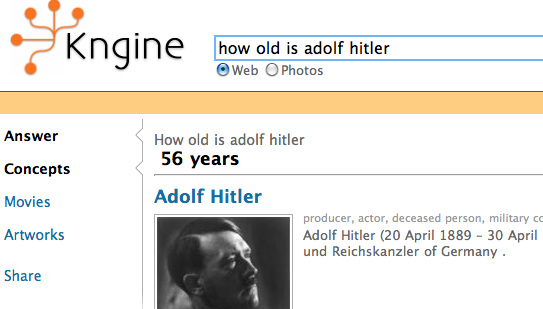 Just like Wolfram Alpha, Kngine is capable of computing answers to factual questions. One quintessential example would be a search for the phrase “How old is Adolf Hilter” will give you the answer “56 years old” almost instantaneously. But what makes Kngine stands out among the two Semantic search engines is that it is intelligent enough to answer pretty tough questions which Wolfram Alpha cannot. 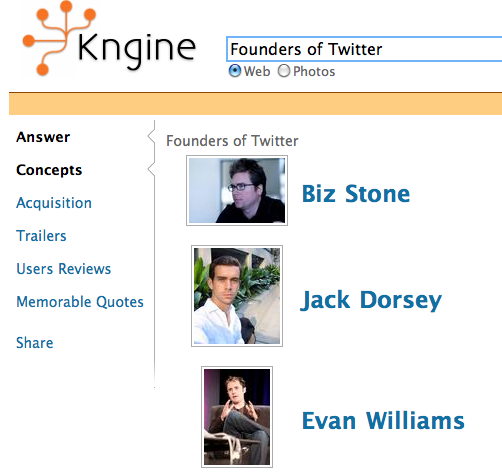 For instance, when I typed “Founders of Twitter” into the Kngine search bar, the clever algorithm will then list the names of the San Francisco-based micro-blogging platform’s co-founders (Biz Stone, Evan Williams and Jack Dorsey), accompanied with their photos. 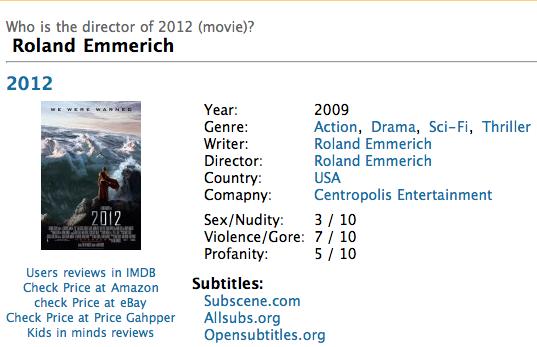 When I asked Kngine “Who is the director of 2012 (movie)?“, besides giving me the answer “Roland Emmerich”, it even provides me an in-depth information of the movie such as genres, name of company, as well as the names and photos of the casts. There are a lot of words and expressions that have multiple meanings. 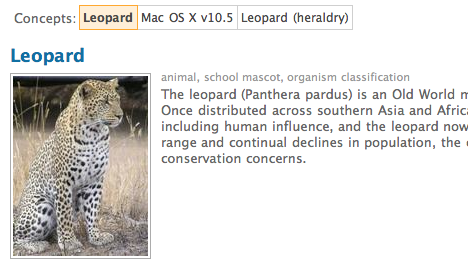 Take for example the word “Leopard“. It can either refer to the animal or the Apple OS. Kngine enhances your search experience by easily discovering such words, and providing smart meaningful information about these concepts. Although this is not a brand new idea as it has already been adopted by several search engines such as Rednano, a Singapore-based search engine, but at least it is kind of useful to a certain extent. Another feature that is worth commenting about is its delivery of smart and direct information to users. Unlike Wolfram Alpha, Kngine grabs most of the information from Wikipedia, IMDB, and elyrics.net. 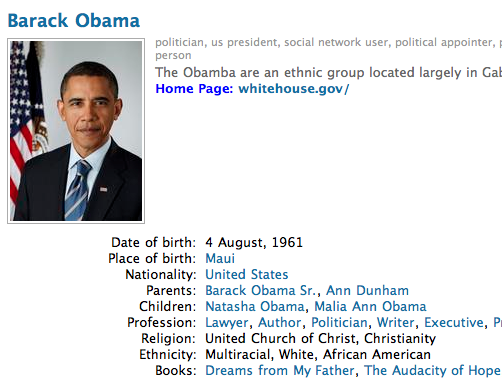 For example, a search on “Barack Obama” will display relevant information of the 44th President of The United States. This isn’t just a knowledge-based “Wikipedia + Google” search engine. You can also search for song lyrics of your favorite songs too. 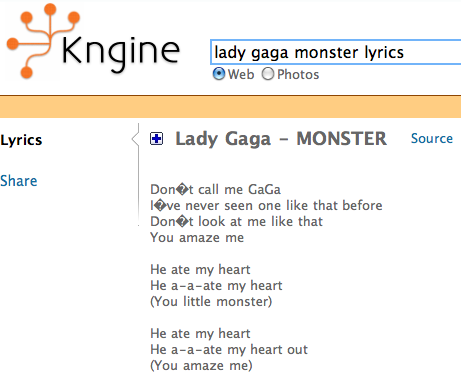 For example, a search on “Lady Gaga Monster lyrics” will give you the full song lyrics of Monster. Kngine’s amazing list of features does not stops here. 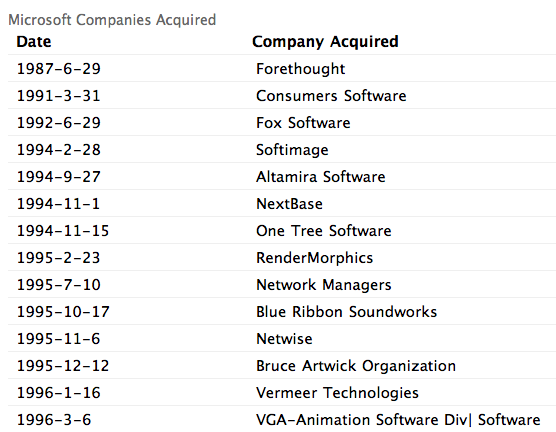 The Web 3.0 search engine can understand queries like: “Brad Bitt movies“, “Microsoft’s acquisitions” and many more. Although some gadgets sites out there have written in-depth comparisons between the two smartphones — iPhone 3GS and Google Nexus One, but you can also do a simple comparison on Kngine. 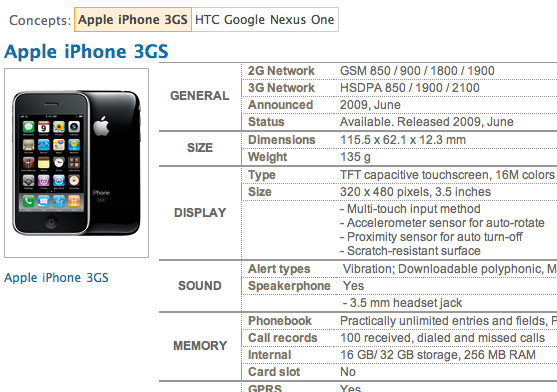 Simply punch in “iPhone 3GS vs. Nexus One” and within a second, both phones’ specification sheets will appear right in front of your eyes. With Kngine, you can search for weather conditions in a city, stock prices of a company (similar to Google Finance), or even the latest sports results. Converting from one currency to another is also possible too. The search engine has recently launched a new feature called Parallel Search. Parallel Search enables users to discover concepts with common attributes such as Android Phones and BMW Cars. You can also filter and sort results with given criteria. Another pretty useful feature for entertainment zealots is Entertainment Vertical. 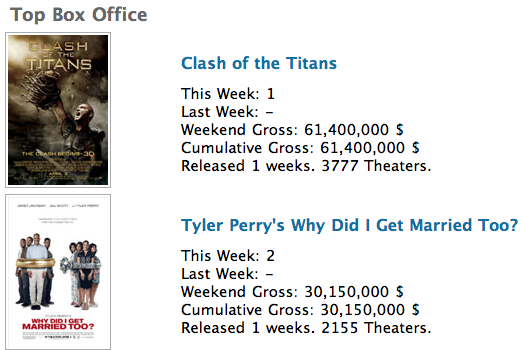 You can easily discover the songs chart, albums chart, and top box office without any much hassle. Overall, Kngine is indeed an impressive creation. You can search for or ask anything on Kngine and the answer or information relevant to your search query will be displayed almost instantaneously. If I were given a choice between Kngine and Wolfram Alpha, I will definitely go for Kngine as it is capable of providing useful and significant search results, and answering a vast array of factual questions that even Google, Yahoo and Wolfram Alpha can’t compute answers to such questions. Till date, Kngine contains 1.2+ billion of pieces of data, and features about more than 8 million concepts — 70,000+ companies, 700,000+ movies, 1,100,000+ personalties, 450,000+ locations, 150,000+ books, etc. The search engine is headquartered in Kirkland, Washington and founded by Haytham A. Abd ElFadeel, a Computer Science researcher.